Russia has denied entry to the disputed islands it holds off Hokkaido to a Japanese mayor in retaliation for sanctions Japan imposed on it for annexing Ukraine, diplomatic sources say. 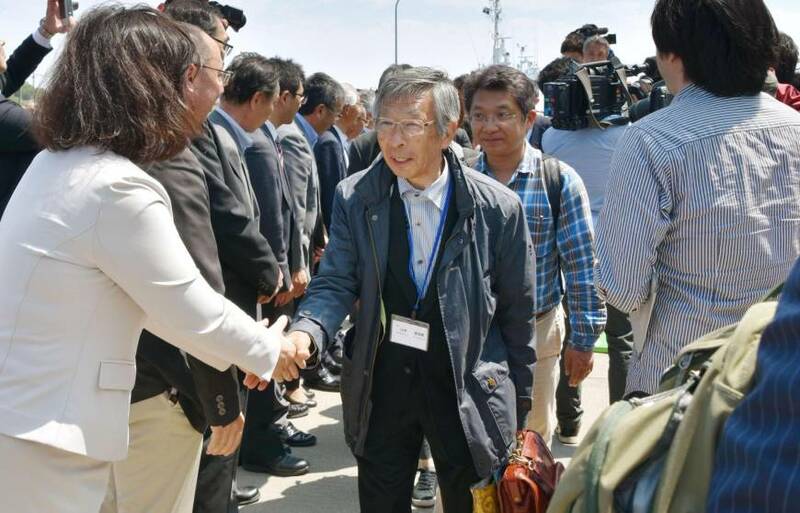 Nemuro Mayor Shunsuke Hasegawa was unable to join a five-day study tour through July 1 to assess the potential for joint economic development of the islands, which are claimed by Tokyo, the sources said Saturday. Russia’s denial was based on its territorial claim, which is theoretically unacceptable to Tokyo, which claims Russia “illegally” occupied the four isles after Japan’s surrender in World War II. Japan has called for the return of the islands for decades. Still, Tokyo apparently responded to Russia’s demand by removing Hasegawa from the study group. Foreign Minister Fumio Kishida vaguely spoke about the mayor’s absence, telling a news conference on June 27 that it was a result of “arrangements with the parties involved.” The delegation began the feasibility study tour the same day. Because the joint feasibility study was a visa-free arrangement, Tokyo claimed that Hasegawa should be allowed to join the tour but Russia did not agree, the sources said. Russia’s action underlines the difficulties involved in settling the decades-old territorial dispute. Prime Minister Shinzo Abe is eager to engrave his name in history by settling the issue and concluding a peace treaty to formally end World War II. Abe and Russian President Vladimir Putin agreed at their hot spring summit in December to launch bilateral consultations on the joint economic activities as a part of settling the territorial issue and signing a peace treaty. As for the mayor, the Russian government introduced the retaliatory measure in August 2014, but the number of Japanese subject to it, and their names, were not released at that time. Hasegawa originally planned to take part in the delegation but was notified by the Foreign Ministry the day before departure that he would not be able to participate. 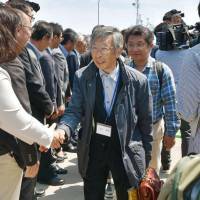 The ministry has not disclosed the reason why Hasegawa was excluded, according to Hasegawa. The government maintains the Russian-held islands are part of Japan and has asked Japanese people to refrain from visiting them by adhering to Russia’s passport control demands. The members of the Japanese delegation visited Kunashiri, Etorofu and Shikotan islands without bringing their passports or getting visas for the tour, which ended on July 1. Nemuro, on the eastern tip of Hokkaido, is close to the disputed islands and acts as a base for campaigns aimed to getting them returned. Meanwhile, companies and groups from the fisheries and tourism industries in Nemuro are expected to be involved in the envisioned joint economic activities if Japan and Russia formally launch the project. In April 2014, Tokyo announced it would deny visas to 23 Russian nationals as part of sanctions over Moscow’s annexation of the Crimea region in Ukraine. Hasegawa is believed to have been put on the blacklist as he plays a key role in Japan’s movement to get the islands back. The three islands and the Habomai islet group were seized by Soviet troops after Japan surrendered in August 1945, bringing World War II to an end. Japan hopes joint economic activities, once started, will pave the way for addressing the decades-long territorial dispute with Russia. The city assembly of Nemuro protested to the ministry late June over the decision to exclude the mayor from the tour, after unanimously adopting a resolution to that effect.